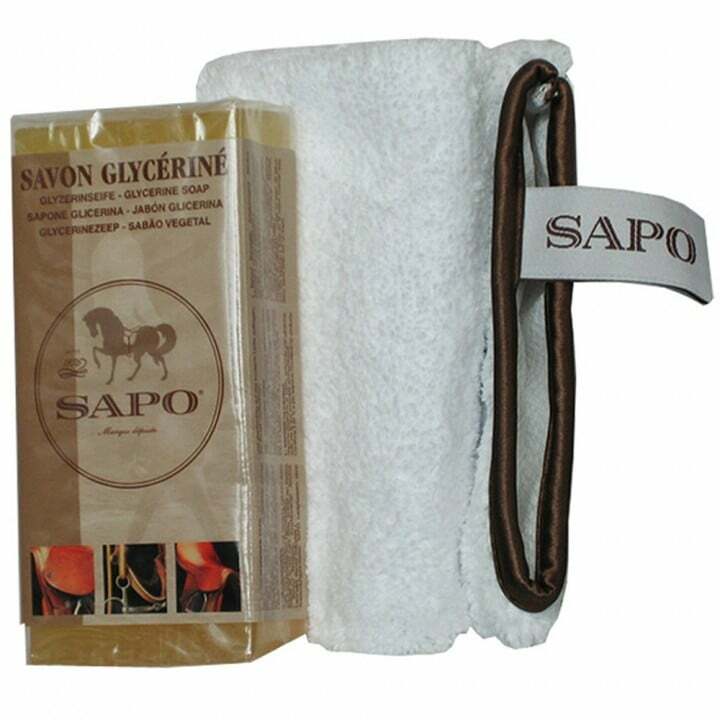 Specially elaborated for the maintenance and to loosen up the Saddlery leathers, with this fine mixt of glycerine and pure vegetable oils, the life of leather is extended. Easy and handy use. Do not use on suede. Made in Marseille. 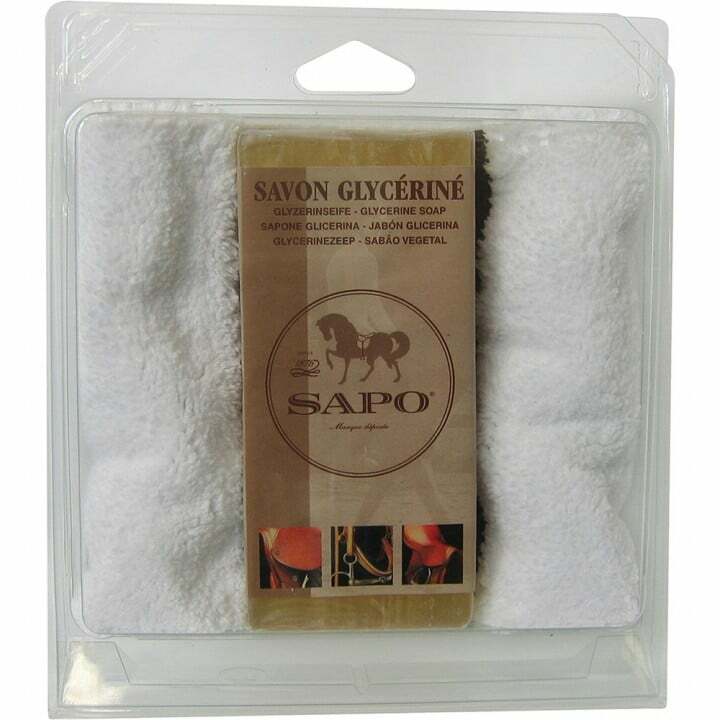 100 % vegetable oil soap enriched in glycerine which is known for its softening properties. With a piece of sponge squeezed dry, take a light coating of the soap and rub it well into the leather, when dry, polish with a cloth or an applicator glove. MICROFIBER GLOVE – Product applicator: “one side to apply, one side to wipe”. The density and the thickness of the microfibers in this glove allow it to be used as a product applicator: shampoo, conditioner, soap, balm and grease for leather, polish, surface treatment, etc…on any type of surface: leather, stainless stele, textile, plastic, bodywork, etc… Ergonomic: The glove is very pleasant to use and the softness of its microfibers allows it to be used on every support, even the most sensitive ones. It is very easy to clean by hand (after soaking) or in the washing machine (at 60°C). Do not use chlorinated products.